If I Might Interject: "The Papacy But Not This Pope"
“The papacy but not this pope” is a further step. Beginning with Gerson, Gallicanism attempted this step (with the best of intentions, theologically) by trying to differentiate between the sedes, which is indefectible, and the sedens, who is not. This approach was mistaken and impracticable from the outset, as de Maistre pointed out. Gasser, in his final address at Vatican I, emphasized that infallibility is not a prerogative of an abstract papacy but of the pope actually reigning. Bossuet, despite his sincere identification with the Church, forever wavered in his position regarding the papacy, measuring with “two measures and two weights” and taking shelter under similarly useless distinctions that simultaneously pledge obedience and refuse it. Moreover, there is the whole Gallican issue of acceptation (“toujours des énigmes!” remarks de Maistre), which plays on the ambiguity of being “in one accord” with the spirit of the Church communio, on the one hand, and simply obeying the directives of superiors on the other. Y. Congar has written on what is justified and what is not in this approach. The reservations of Gallicanism do not at first touch the communio. Rather, they wish to qualify every papal decision, be it by an appeal to a council or by a stipulation that the directives must be accepted by the whole Church (bishops and flock) to be valid. Another kind of stipulation is applied by the Jansenists, who support papal authority as long as it does not clash with a higher forum, e.g., the authority of St. Augustine, the authentic interpreter of the Pauline doctrine of justification. There were endless quarrels over the bull Unigenitus, about its range, its interpretation and about the earlier distinctions made by the Jansenists between the quaestio facti and juris. (The Pope condemned the statements of Baius or Jansenius, but did he condemn them in the sense in which the authors meant them? This, it was thought, would have gone beyond his competence.) All these were attempts to avoid an unappealable final decision by the existing papal authority. Surely conscience is the final authority of an individual’s moral behavior, but when a community within the Catholic Church refers to a dictate of its collective conscience against a final papal decision, it has already lost the sense of the Church communio. von Balthasar, Hans Urs. The Office of Peter and the Structure of the Church [†] (Kindle Locations 1039-1057). Kindle Edition. The thing that bothers me the most about the Church today is seeing growing numbers of Catholics who once defended the Church from Vatican II through Benedict XVI, but now question the orthodoxy or wisdom of Pope Francis at some level and look to alternate leaders to follow instead. While some have taken this to the level of claiming the Pope is dangerous, most seem to treat the Pope as if he doesn’t understand the faith. Articles with titles like “What the Pope needs to learn about X” are not rare in these times. In essence, the people who refuted attacks on past Popes from theological liberals seem to be embracing these arguments against Pope Francis and using the same ad hominem attacks (papolatry, ultramontane) against those Catholics who defend him. These Catholics don’t like what he says and they want to disagree—BUT (and I think this is important to stress) they don’t want to commit sin in doing so. This is why the opposition to Pope Francis revolves around the dividing lines of where his words stop binding and where they can label his words as “error.” The danger is, they run the risk of going too far and crossing the line they want to respect. In this article, I hope to identify some of these danger zones. “When Do I Have to Obey?" Reading the words of St. Pius X, I see him as saying: When the Pope speaks to us, whether he intends to formally teach or not, he speaks for our benefit and we would be wise to learn from what he has to say. If he is right, then the Catholics who try to find excuses not to listen or think the Pope is a burden or harmful do not love him in deed, even if they love him in theory. But, when defenders of Pope Francis cite this allocution, these critics argue that this does not apply. I have read some comments saying that St. Pius X couldn’t have anticipated a “modernist, Marxist Pope” or he wouldn’t have said this. But his words do not justify this opinion or allow people to appeal to other theologians or saints against the Pope. If then any shall say that the Roman Pontiff has the office merely of inspection or direction, and not full and supreme power of jurisdiction over the universal Church, not only in things which belong to faith and morals, but also in those things which relate to the discipline and government of the Church spread throughout the world; or assert that he possesses merely the principal part, and not all the fullness of this supreme power; or that this power which he enjoys is not ordinary and immediate, both over each and all the Churches and over each and all the pastors of the faithful; let him be anathema. Vincent McNabb, ed., The Decrees of the Vatican Council (New York: Benziger Brothers, 1907), 42. People who say ad populum is wrong may want to take note. The Pope has the right and responsibility to apply the timeless teaching of the Church to the circumstances of today. Bishops and theologians advise him, but the final decision is his. When he does so, he is binding and loosing as Our Lord intended in Matthew 16:19. We trust in The Lord to protect us from a Pope binding a bad teaching or loosing a good teaching. But what about when he’s not teaching as Pope? The Pope is therefore not infallible when he gives a decision as man, bishop, scholar, preacher, or confessor, nor when he expresses an opinion on questions of art, politics, or secular science. Infallibility is quite distinct from personal impeccability. F. J. Koch, A Manual of Apologetics, ed. Charles Bruehl, trans. A. M. Buchanan (New York: Joseph F. Wagner, 1915), 177–178. What the Pope says in these cases are not protected under the charism of infallibility. But it doesn’t follow that this means what a Pope says in these circumstances are laden with error. His holiness, learning, and wisdom as a man, bishop, scholar, preacher or confessor still exists and we should consider this. People who defend the Pope on these grounds are not guilty of Papolatry. Nor are they ultramontane. What this qualification does mean is we don’t call someone a heretic just because he disagrees with what Benedict XVI says about Our Lord in his Jesus of Nazareth books. It also means if a Pope like John XXII speaks in a homily, he’s not teaching heresy or defining a teaching. It also means that the laws he passes as ruler of Vatican City (or earlier of the Papal States) are not Church teaching. Another pitfall to avoid is thinking just because bad Popes existed in Church history does not mean Pope Francis is one. Bad behavior goes back to St. Peter eating apart from Gentiles (Galatians 2:11-14), and Popes are sinners just like the rest of us. So every Pope will have cringeworthy moments. But when people appeal to bad Popes to argue Pope Francis is one, they dredge up the notorious Popes. Benedict IX, John XII, Alexander VI, Julius II and others. The problem with this appeal is these Popes behaved badly, but they did not teach badly as Popes. Either they taught rightly or did not teach at all. The Popes who did wrong did so as men or as rulers. They practiced vice, treated their position as if they were a secular king. etc. Pope Francis behaves nothing like this, so it is an irrelevant analogy. Some, realizing this, will point to John XXII [∞], Liberius, or Honorius and argue that they spoke falsely or heretically, and Pope Francis can do the same. The problem is, the Church denies those Popes taught heresy, even privately. Their faults were they taught ambiguously or did not act when they should have. So these Popes antics don’t mean Pope Francis is heretical. Do We Understand Context and Meaning? Integrating in the Church doesn’t mean receiving communion. I know married Catholics in a second union who go to church, who go to church once or twice a year and say I want communion, as if joining in Communion were an award. It’s a work towards integration, all doors are open, but we cannot say, ‘from here on they can have communion.’ This would be an injury also to marriage, to the couple, because it wouldn’t allow them to proceed on this path of integration. That’s one example of how people put a meaning into the Pope’s words he never intended. They assume that “integrating” the divorced and remarried into the Church means giving them the Eucharist and get upset. But they don’t consider whether the baggage they attach to a word is what the Pope intends. We who are Americans or western Europeans have a view of the world we think is normal, but the rest of the world doesn’t share it. He describes problems in South America and we think he hates capitalism or America. He talks about gradually moving people away from vicious customs in Argentina and we think he supports American vice. That’s not his fault. That’s our fault for assuming the rest of the world thinks like us. We make this worse by our reliance on instant news coverage popping up on our smartphones from religiously illiterate sources. They take one sentence from an interview and treat it as if he is changing Church teaching. We rely on the analysis of that one sentence and form an opinion before the full transcript comes out. The problem is, you can’t interpret Pope Francis by one sentence. You have to look at his whole answer. He tends to describe a scenario first, and from that scenario describe a solution. If you don’t keep the scenario in mind, the quoted sentence sounds like he’s okay with sin. But if you do look at his whole answer, it becomes clear that he is not okay with sin. I think we rely too much on bullet points and one sentence summaries. As a result, we aren’t used to diving into complex descriptions when we find them. But that’s our problem, not the Pope’s, and it’s our task to understand what he means, not to blame him because we misinterpret through our cultural mindset. can. 1404 The First See is judged by no one. One thing we have to remember when people want to question the Pope’s orthodoxy, that act assumes they have the right to judge his actions. Such an action implies their knowledge and their fidelity to the Church is greater than his. It assumes to read his heart and mind and finds them wanting. But we cannot do this. When the Pope teaches, we need to give assent (Canon 752). When he speaks privately, we need to be respectful. We have no right to judge him. I answer that, A subject is not competent to administer to his prelate the correction which is an act of justice through the coercive nature of punishment: but the fraternal correction which is an act of charity is within the competency of everyone in respect of any person towards whom he is bound by charity, provided there be something in that person which requires correction. Now an act which proceeds from a habit or power extends to whatever is contained under the object of that power or habit: thus vision extends to all things comprised in the object of sight. Since, however, a virtuous act needs to be moderated by due circumstances, it follows that when a subject corrects his prelate, he ought to do so in a becoming manner, not with impudence and harshness, but with gentleness and respect. Hence the Apostle says (1 Tim. 5:1): An ancient man rebuke not, but entreat him as a father. Wherefore Dionysius finds fault with the monk Demophilus (Ep. viii. ), for rebuking a priest with insolence, by striking and turning him out of the church. Thomas Aquinas, Summa Theologica, (II-II q.33 a.4 resp.) trans. Fathers of the English Dominican Province (London: Burns Oates & Washbourne). The problem is the social media complaints against the Pope show nothing fraternal. It assumes wrongdoing and speaks in an unflattering way. Some is patronizing. Some is abusive. But it generally assumes the Pope is, at best, guilty of fuzzy thinking or, at worst, a heretic. People do speak of him as if he were a burden. People do say they still wish Benedict XVI was still Pope. People do hope he’ll retire or die soon. Not everybody does these things, but the point is the attitude which thinks he is a burden to the Church is undermining our faith and trust in the shepherds. We look at what he says and does and judge whether we think it is acceptable or not. But what we don’t ask is if we are sinning in our attitude. St. Pius X linked loving the Pope with respect and obedience. He rejected the idea of looking to another theologian against the Pope. But how many people look to Cardinal Burke, Cardinal Sarah or Bishop Athanasius Schneider [∑] as being more reliable than the Pope when it comes to fidelity to the Church? I want to be clear I don’t seek to judge any individual or blog here. I wrote this article because I see troubling things undermining the authority of the Church and the Pope, leaving people afraid and mistrustful. I just hope to encourage people to think a different way about these things, trusting God to protect His Church under Pope Francis just as He protected the Church under every other Pope. If any person is struggling with these things, I hope my reflections help and do not drive them away in defensiveness. [†] The actual title of the book was Der antirömische Affekt which translates as “the anti-Roman attitude.” (according to Google Translate) The book spoke about the hostility to the Pope c. 1974. Much of this anti-Roman attitude seems to fit today as well. [§] This translation was from 2012 when Benedict XVI was Pope. Many people who cited it then deny it now. 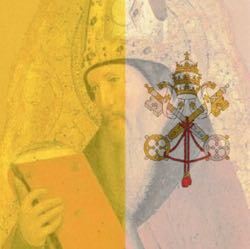 [∞] Despite the views of some, Pope John XXII did not even preach heresy privately because the Church had not yet defined the matter at the time he offered his opinion. [∑] I want to make clear here that I do not blame them for people elevating them this way against their will. We live at a time of a billion popes where everyone stands in Mass and proclaims, "I believe..." yet get's to coffee and donuts and follow-up with, "But the Church (Pope) is wrong on...."
Let us not forget that Jesus put the Pope as leader of this Church and promised that his Church would never fail. Even through the days of bad Popes this promise has been kept. Pope Francis - love him or leave him Jesus promise will still be kept. This is not the time for Catholics to become Protestants.